In Florida, estate planning is one of the most efficient ways to save money and protect assets. One of the many useful estate planning tools is the Modern Irrevocable Life Insurance Trust, which permits a Florida resident to qualify for Medicaid, avoid estate taxes, and protects the policy and payout from creditors even if the beneficiary lives or moves to another state. There are currently to two types of irrevocable life insurance trusts, which we refer to as the traditional life insurance trust (ILIT) and the modern irrevocable life insurance trust (also an ILIT). There are some fundamental differences in the trusts, but the key reason a client would use one over the other depends on the client’s net worth. If the client has an estate worth more than $5.45 million, to $10.9 million if married, then we recommend the client use the traditional irrevocable life insurance trust to save money from gift and estate taxes. If the client’s estate is worth more than this amount, we recommend the client uses the modern irrevocable life insurance trust because it is much more flexible and easier to maintain. The modern Irrevocable Life Insurance Trust offers many benefits for clients that are not worried about gift and estate taxes at death. The main advantages of this trust are that it can permit the client to qualify for Medicaid, protects assets, does not require a separate tax identification number, and crummey letters are not required. Studies show that most people will need some long-term health care, as they grow older. In fact, many people will need support from institutions such as nursing homes and assisted living facilities. The problem is that these long-term care facilities can be very expensive. If the patient does not qualify for Medicaid, then he or she must pay for health care without any government assistance. Suddenly the money someone was hoping to save for their children is gone to pay for high monthly health care bills. If they do qualify, they are likely to have to cancel any life insurance that is in place. Medicaid is a government program that pays for long-term health care facilities like nursing homes. It is a great program to be a member of, but it is extremely hard to qualify for in Florida. A Medicaid applicant must pass an income test and an asset test in this state before he or she can qualify for help. If the applicant owns too many assets or income, then he or she will be disqualified to receive Medicaid. That person must spend all of his or her income and assets before Medicaid will help. Instead of wasting savings, the client can transfer the life insurance policy to the trust in advance of needing the care. After 60 months, Medicaid will no longer count the policy under the income or assets tests. This may allow the client to qualify for Medicaid and keep the life insruance benefits to be used by the surviving family. Other assets and income can also be placed into an irrevocable trust to qualify for Medicaid. One of the drawbacks to the traditional life insurance trust is that it requires some additional paperwork on a yearly basis. The IRS requires a separate tax ID number for the traditional trust, which means the trustee will have to pay the taxes separate from the settlor’s taxes. Further, a traditional insurance trust requires the trust to send out crummey notices on a regular basis. The crummey letter is a notice that alerts the beneficiary that he or she has certain withdrawal rights from the trust. The Modern Irrevocable Life Insurance Trust does not require a separate tax ID number or crummy notices. The modern irrevocable life insurance trust (ILIT) is also quite flexible compared to other irrevocable life insurance trusts. The Modern Irrevocable Life Insurance Trust (ILIT) allows the settlor/trustee to change beneficiaries of the trust even after the trust is funded. With a traditional ILILT, the settlor or trustee cannot modify irrevocable trusts. Often the only way to modify an irrevocable trust was through a court order, or by the unanimous consent of the trust’s qualified beneficiaries. The modern insurance trust is unique because the settlor/trustee retains the power to change the trust’s beneficiaries without the consent of anyone else and no court approval is required. The ability to change beneficiaries is crucial and can permit the trust to meet the trust creator’s objectives throughout his or her lifetime. Our Jacksonville estate planning attorneys here also pride themselves on tailoring the trust to meet the needs of our clients. The language of the trust document will reflect the purpose of the trust and the goals the trust was created to accomplish. Bankruptcy is a federal law, but the property exemptions are determined by the state. This means that a person’s life insurance policy may not be protected from creditors if he or she moves. The Modern Irrevocable Life Insurance Trust can protect the policy from creditors even if you move to another state. The client no longer owns the policy because he or she has transferred the policy to the trust. Therefore, in most cases the bankruptcy court will not include the life insurance policy in the bankruptcy estate. 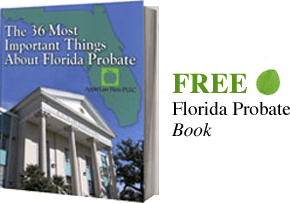 The Modern Irrevocable Life Insurance Trust is a great tool that many Florida resident should consider. Many elderly people will need long-term health care at some point, which is why it so important to utilize government programs like Medicaid. Further, this trust may protect the insurance policy even if you move later or your beneficiaries are located in another state. For more information regarding a Modern Irrevocable Life Insurance Trust contact us today.